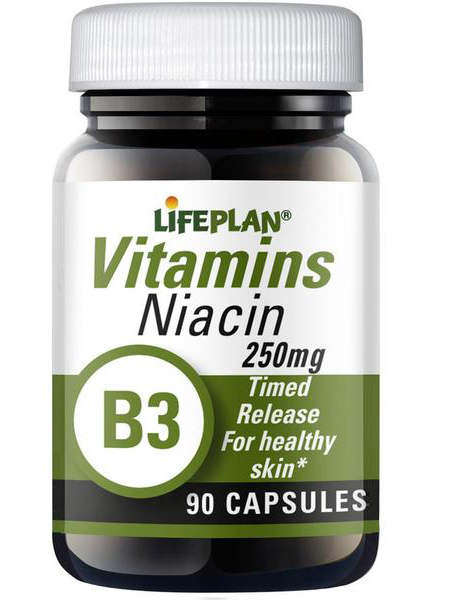 These capsules provide a high level of Vitamin B3 (Niacin) in the form of Nicotinamide to prevent facial flushing. Niacin helps to maintain normal skin and mucous membranes. Niacin also helps in energy production, reduces tiredness and fatigue and helps maintain a healthy nervous system and normal psychological function. 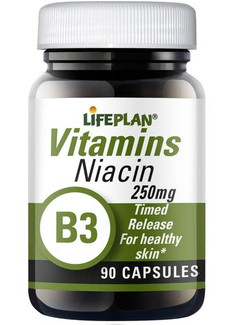 These capsules have been formulated at 250mg which is optimum level of Niacin to take, twice daily. These special timed release capsules allow the niacin to be gradually released into the system for easier absorption. CONTAINS NO added sugar, salt, yeasts, colourings, flavourings or animal derivatives.